The poll was necessitated after Venkaiah Naidu's election as the country's vice president. 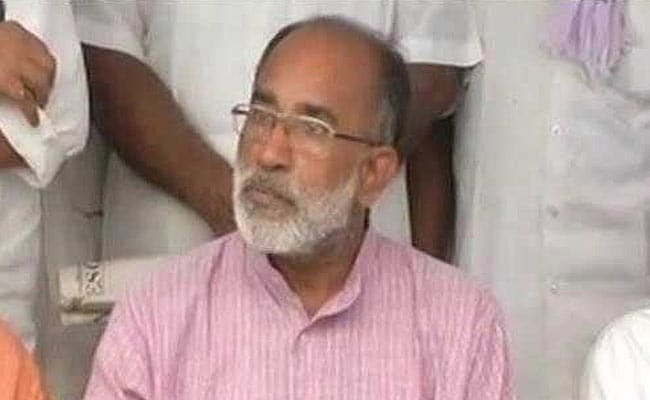 Alphons KJ will contest election for the seat on November 16. Jaipur: BJP MLA Ghanshyam Tiwari today called the nomination of Union minister Alphons Kannanthanam for the Rajya Sabha seat from Rajasthan as "unfair", alleging that the rights the state's party workers had been compromised. The election for the seat will be held on November 16. "Outsider candidates who have no mass support in their state file nominations from here which is unfair," the legislator said in a statement issued soon after filing of nomination. "Leaders of political parties who have no mass support have made Rajya Sabha their shelter. Several among them cannot win election for MLA or councilor in their states," he alleged. The party's MLAs cannot register their protest against the decision of the party leadership and they have to vote in support of the candidate, claimed Tiwari, who has differences with Chief Minister Vasundhara Raje. The chief minister has also appointed "outsiders" in various boards and corporation of the state, sacrificing the rights of the party workers and this would cause trouble for her, he alleged in the statement.